XCOM 2: War of the Chosen is an expansion pack for the 2016 turn-based tactics video game XCOM 2. It was released for Windows on August 29, 2017. Versions for macOS and Linux were released on August 31, 2017. XCOM 2 is a turn-based tactics video game. The War of the Chosen expansion makes changes to XCOM 2's campaign structure and adds new enemies, new hero characters, modifiers, and more behaviors for characters. The expansion introduces a new set of enemy aliens called the Chosen, three elite alien warriors tasked by the Elders to defeat XCOM and recapture the commander: the Assassin, which uses stealth and is able to kidnap the player's soldiers directly from the battlefield, the Hunter, an alien-human hybrid that uses long range rifles, and the Warlock, who uses psionic powers and can summon additional enemies during battle. As the game progresses, the Chosen gain new exclusive abilities over time, and eventually become able to launch a direct attack on the Avenger. The Chosen continue to appear occasionally during missions even after being defeated, and can only be killed for good once their base is destroyed as well. The game also introduces three rebel factions that antagonize each other, but grant special hero classes once their allegiance is earned; the Reapers, specialized in sniping and stealth, the Templars, who developed unique psionic abilities and the Skirmishers, former ADVENT soldiers with exclusive equipment and tactics. Each faction also provides covert ops missions in which soldiers can be deployed to obtain extra resources, delay the Avatar project, or gather info about the Chosen's strongholds, including other benefits. Other new features include a revamped strategic layer and the "Bond" system, in which pairs of soldiers develop special abilities that are accessible when both are deployed during a mission, and when bonded soldiers are killed, their partners enter temporarily in a "berserk mode", ignoring orders but with a great boost in their stats. For research, breakthroughs and inspirations are made to increase the speed that researchers work at, sometimes instantly being able to complete a project. The expansion also adds a neutrally-aligned zombie-like enemy type called the Lost, former humans that will attack both the ADVENT and XCOM in battle, along with new ADVENT units with exclusive abilities. War of the Chosen was announced at the Electronic Entertainment Expo 2017. It was released on August 29, 2017. An add on for the game called "Tactical Legacy Pack" was released in October 9, 2018. It features a series of missions set between the events of XCOM: Enemy Unknown and XCOM 2, new items, new maps and the option to play the game using either the original XCOM: Enemy Unknown's soundtrack or an all-new soundtrack based on X-COM: UFO Defense, the first game of the original X-COM series. XCOM 2: War of the Chosen received "generally favorable" reviews from professional critics according to review aggregator website Metacritic. 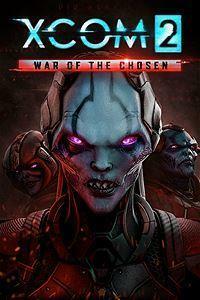 IGN's reviews editor Dan Stapleton praised the amount of variety War of the Chosen added to the mission objectives and campaign of XCOM 2. Although he found there to be some balance issues, he thought that both the Hero classes and the Chosen were great additions. Game Informer reviewer Ben Reeves was impressed by the amount of content included in the expansion, noting that it could almost have been a standalone game. Eurogamer ranked the game 46th on their list of the "Top 50 Games of 2017", while Polygon ranked it 17th on their list of the 50 best games of 2017. Readers and staff of Game Informer voted it for "Best Strategy Game". It also won the award for "Best Expansion" in PC Gamer's 2017 Game of the Year Awards; and was nominated for "Best Strategy Game" at The Game Awards 2017, and for "Strategy/Simulation Game of the Year" at the 21st Annual D.I.C.E. Awards. It won the award for "Game, Strategy" at the 17th Annual National Academy of Video Game Trade Reviewers Awards, whereas its other nomination was for "Game Engineering". ^ "The fight for Earth rekindled — XCOM® 2: War of the Chosen released on macOS and Linux". Feral Interactive. Retrieved 20 September 2017. ^ Kelly, Andy (July 12, 2017). "12 new features in XCOM 2 expansion War of the Chosen". PC Gamer. Retrieved August 25, 2017. ^ Newhouse, Alex (June 12, 2017). "E3 2017: XCOM 2 Expansion Announced, Adds Shadow Of Mordor-Esque Nemesis System". GameSpot. Retrieved August 25, 2017. ^ a b "XCOM 2: War of the Chosen for PC Reviews". Metacritic. Retrieved August 25, 2017. ^ a b Reeves, Ben (August 24, 2017). "XCOM 2: War of the Chosen". Game Informer. Retrieved August 25, 2017. ^ a b Stapleton, Dan (August 24, 2017). "XCOM 2: War of the Chosen Review". IGN. Retrieved August 25, 2017. ^ Eurogamer staff (December 26, 2017). "Eurogamer's Top 50 Games of 2017: 50-41". Eurogamer. Retrieved December 30, 2017. ^ Polygon staff (December 18, 2017). "The 50 best games of 2017". Polygon. Retrieved February 12, 2018. ^ Game Informer staff (January 4, 2018). "Game Informer's Best Of 2017 Awards (Page 4)". Game Informer. Retrieved January 4, 2018. ^ Cork, Jeff (January 4, 2018). "Reader's Choice Best Of 2017 Awards (Page 4)". Game Informer. Retrieved January 7, 2018. ^ PC Gamer staff (December 15, 2017). "Best Expansion 2017: XCOM 2: War of the Chosen". PC Gamer. Retrieved December 31, 2017. ^ Makuch, Eddie (December 8, 2017). "The Game Awards 2017 Winners Headlined By Zelda: Breath Of The Wild's Game Of The Year". GameSpot. Retrieved December 31, 2017. ^ Makuch, Eddie (January 14, 2018). "Game Of The Year Nominees Announced For DICE Awards". GameSpot. Retrieved January 20, 2018. ^ "Nominee List for 2017". National Academy of Video Game Trade Reviewers. February 9, 2018. Retrieved February 16, 2018. ^ "Horizon wins 7; Mario GOTY". National Academy of Video Game Trade Reviewers. March 13, 2018. Retrieved March 14, 2018. This page was last edited on 27 October 2018, at 07:27 (UTC).